Taking better care of your physical and mental health will not only make for a happier and more fulfilled life, but can also improve the strength of your knees. Studies have shown that ailments such as back pain and depression have been linked to knee pain, so making even the simplest of changes like strengthening your core and losing weight can help stave off the prospect of knee surgery. Did you know losing 10 pounds relieves about 40 pounds of pressure on your knees? Water is not only vital to healthy bones and skin, it is also vital to knee health. The cartilage in our knees is made up of mostly water – up to 80 percent when we’re properly hydrated. But as we get older, the water content gets lower, resulting in unhealthy cartilage and possibly degenerative joint disease. Lack of water can also lead to dehydration, which can drain your energy and make you tired. So drink up! The Institute of Medicine recommends an adequate intake is roughly about 13 cups of total beverages a day for men, and 9 cups of total beverages a day for women. Knee cartilage depends on movement to stay healthy and heal. 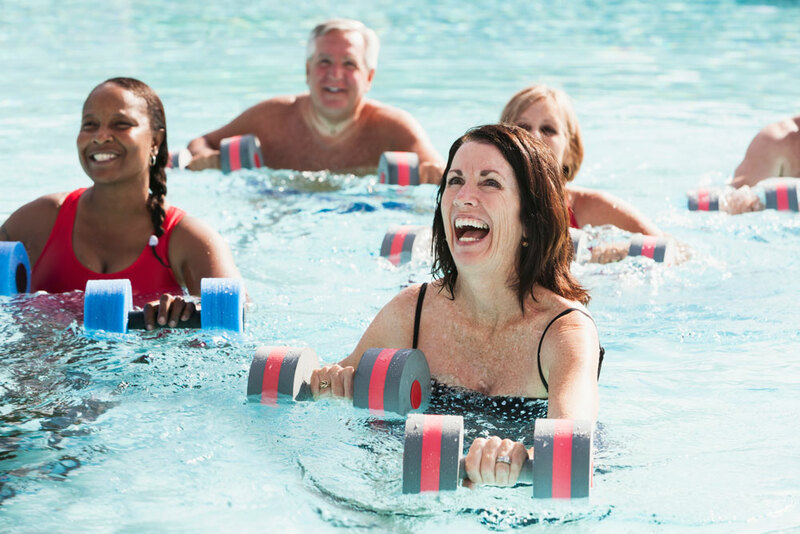 Aim to be active up to 30 minutes a day, five days a week doing any of your favorite knee-safe activities like walking, yoga, swimming or low-impact aerobics. Consider adding in knee exercises to your routine, such as marching, sit to stand/stand to sit, hamstring curls, heel raises and squats for added knee strengthening. Even after making these healthy lifestyle choices, you may still experience knee pain or injury. If your pain gets to the point that you are unable to enjoy your favorite activities or if it affects your quality of life, it’s time to see a doctor to determine the cause of pain and choose a treatment plan that’s right for you.